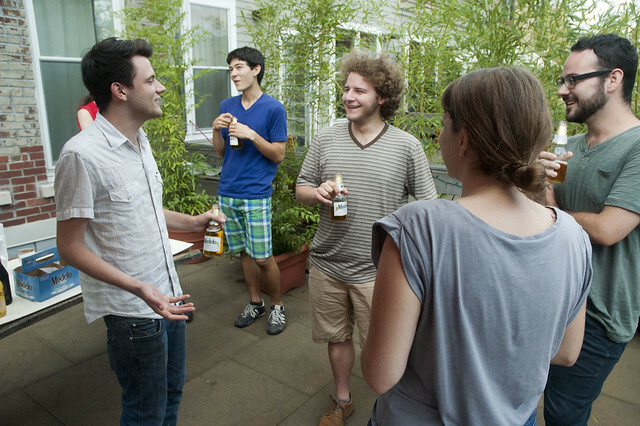 What’s a Typical Week In the New York Arts Practicum from New York Arts Practicum on Vimeo. 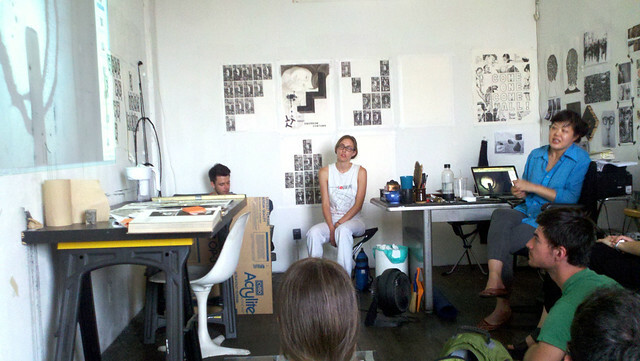 The New York Arts Practicum went really well this summer, and will be running again this coming summer. I saw so much personal and artistic growth from the 10 participants over the short but super intense 8 weeks. Many of the participants were calling their experience: demystefying, life changing, and an inspirational reality check. 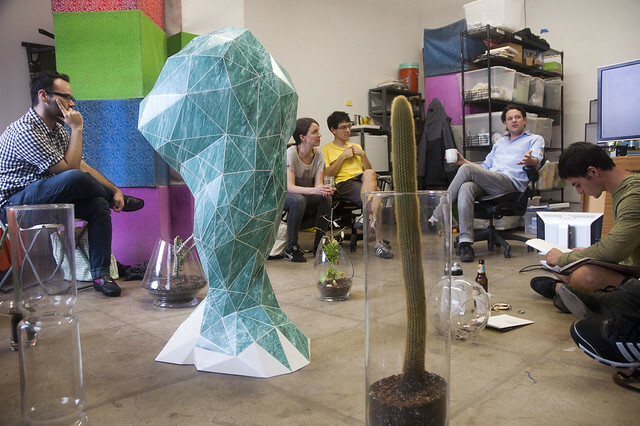 The participants spent those 8 weeks meeting with artists and curators, working in their mentors’ studios, and making work for critique without access to their collegiate studio facilities. We met Tuesdays for a critique seminar, and Fridays for all day site visits in artist studios, curator talks, and visits to museums. The goal of the program is to bridge the gap between life as an art student and making art outside of school. In the inaugural year, participants worked in the studios of David Horvtiz, Eva and Franco Mattes, Caroline Woolard, Sara Greenberger Raffery, Jen Liu, Ricardo Miranda Zuniga, Graham Parker, and Mark Tribe; each of these mentors led a seminar, or was a guest critic. Steve Lambert was a guest critic. Trevor Paglen, Penelope Umbrico and The Yes Men lead seminars. We had site visits with Brody Condon, Pablo Helguera, Marisa Jahn, Kristin Lucas, Jill Magid, Jennifer and Kevin McCoy, Joe McKay, Lize Mogel, William Powhida, and Kevin Zucker. 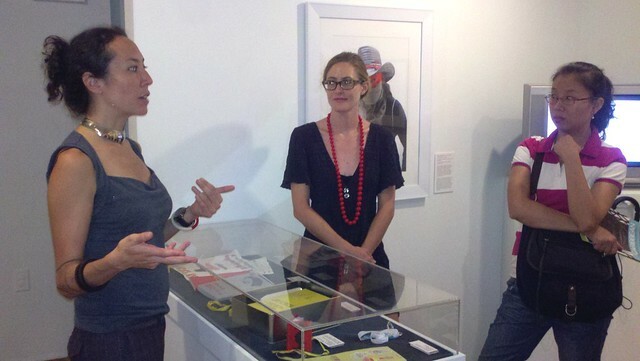 We met with curators such as Amanda McDonald Crowley at the Austrian Cultural Forum, Risa Needleman at Invisible Exports, Stephanie Pereira at Kickstarter, Steve Sacks at Bitforms, Magda Sawon at Postmasters and Artie Vierkant at Stadium. We visited Christian Marclay‘s clock, galleries in Chelsea, Lower East Side, and Bushwick, and went to MoMA and the Met. There are blog posts that go into more detail, as well as photos on Flickr. 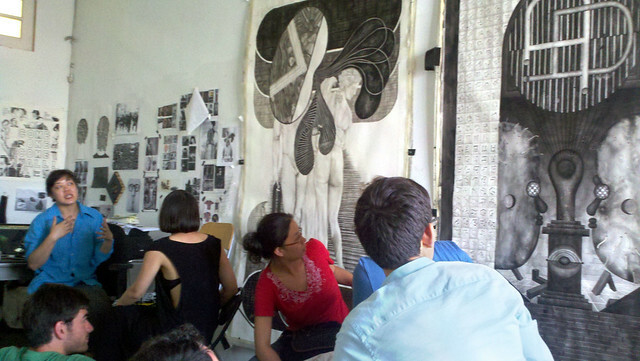 Ricardo Miranda Zuniga is guest critic for the second critique of the New York Arts Practicum. Matthew Brinkley showed drawings and found objects from around his apartment. Ricardo offered feedback for the participants’ second critique. 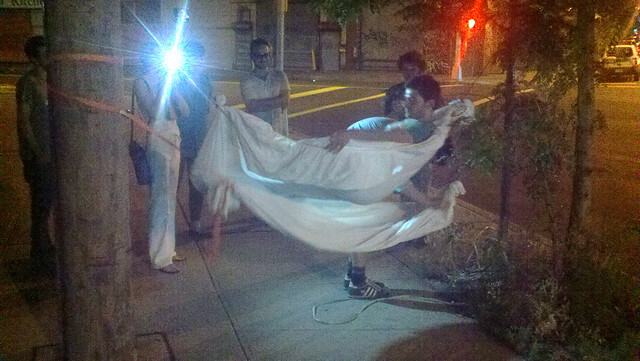 Their prompt was to make something that responded to New York City as a subject, site, or context. 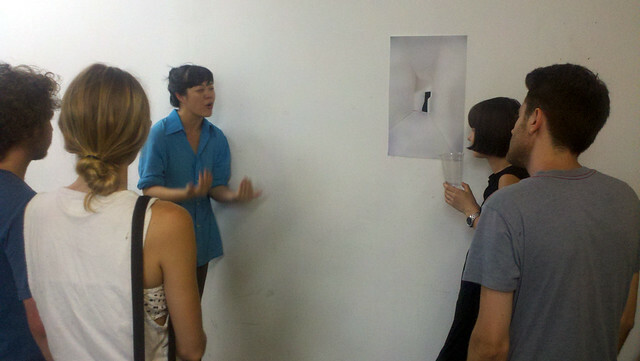 Lu Cao presents her work. 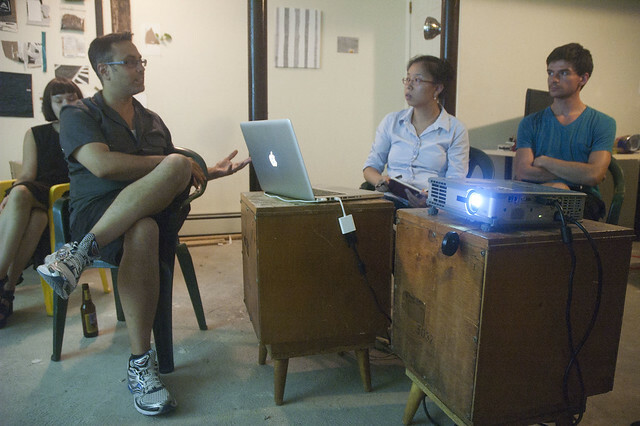 We had our first critique on Tuesday, with Practicum Mentor Jen Liu as our guest critic. 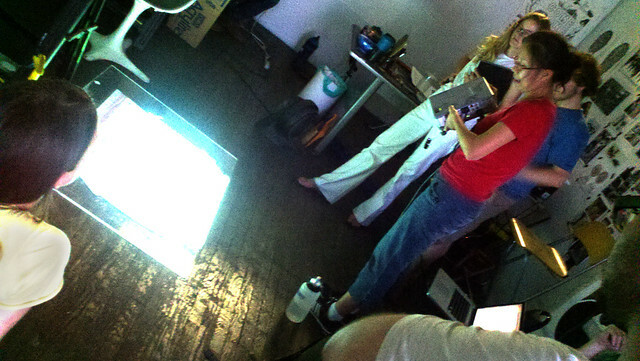 Jen started off by telling the participants about her installation up in Chelsea at Dawn Kasper’s space, and the work that was on the walls (and in her computer) for her upcoming shows in Copenhagen. The critique was on the participants first assignment: recreate a recent work. The challenge is that without access to their school facilities, the participants had to make use of the city as a resource. This exercise was focused on process, and I have been encouraging the participants to think about the whole practicum as a place to transform and transition their process into one that can function outside of the school-space. Correspondingly, I am encouraging them to not worry about producing finished products: this is a place of experimentation and growth.